Time is captured in irresistible beauty with this wall clock. 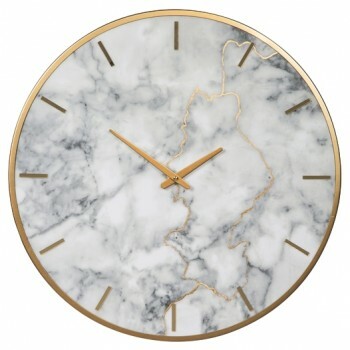 Gorgeous striations in the faux marble face are highlighted with goldtone finished metal. This contemporary mix of materials hangs artfully in your home.